As another year comes to an end, I’m incredibly grateful for the life I get to lead – I get to do work that people tell me makes a difference in their lives. The blog hit a total of 13,042 followers and got 34,030 comments (the top five commenters this year are Helena Handbasket, Mich, Twistie, Lady Rhaptorne and Isstrout, thanks y’all!) I had views from all 7 continents and every country in the world except Turkmenistan, North Korea, Chad, and Niger. I gave talks all over the United States to groups including colleges, healthcare providers, corporations, conferences, and more. I co-founded the Fat Activism Conference (and we’ll be back again, bigger and better, in 2015! ), the Fit Fatties Forum continued to grow including the addition of the Flying Rhinos! And an anthology that I edited was published by Praeger, an imprint of ABC/Clio. A screenplay that was written by David Fried about my life as a dancer is now in active development. I’d like to take a moment to say thank you. Thank you to my partner Julianne, to my Best Friend Kelrick and Kenny, his husband, my mom Michele – I have an amazing and supportive family and I really appreciate you! Thanks to Jeanette Depatie, my partner on so many fun ventures! Thank you to my blog readers, and everyone who supports my work whether it’s by becoming a member, sharing a post on social media, getting involved in one of my projects, or sending me an encouraging message or thank you. Thanks to the people who send me research, and articles, and questions that help me find things to blog about. Thanks to the people who let me know about my typos. Thanks to everyone who makes the comment section of this blog a place that’s full of thoughtful discussion. Thanks to all of the other amazing Size Acceptance and Health at Every Size bloggers who inspire me everyday. Thanks to everyone who came before me who created the movement that I am honored to be a part of. I’m super excited about the year to come and I have lots of things to tell you about in the coming weeks. Today, though, the only thing I want to tell you is Thanks! If you’re looking for fun fitness stuff to do in the New Year without any diet talk, weight loss talk, or body shaming, but with lots of fun, flexibility, and body positivity, check out the Fit Fatties Forum Virtual Event Challenge! You are most welcome, Ragen, though I think you have given me far more than I’ve given you. Keep up the good work. You are much appreciated! Sounds like it’s been a great year for you! Thank YOU Ragen, for your leadership, your courage, your steadfastness, your inspiration, your forthright writing, your humor. Thank you for creating safe spaces. Thank you for all you do, Thank you for being real, and for being you. Thank you! You really do make a difference in my life, I’m very grateful. Keep up the great work and the amazing life, we need more people like you. Thank YOU for giving the world hope for sane, compassionate people who still have the grit to get things done. This blog is amazing and so are you! Thanks back atcha for being the bestest partner EVAR! Thanks ever so to you! We flock to you for a good reason. Happy, ample, joyful 2015 to everyone! No, THANK YOU. Thank you for all that you do around size activism. You are an inspiration. Wow. I’m a top five. And even Antarctica has come. So glad of this site! I love the cover picture of this blog. Perhaps my bit of activism this weekend will be to do a similar picture of myself…yet thanking you for all the amazing things you do for all of us. Here’s to all the great things you do, see and change in 2015! Thank you for your insightful articles and for making such a safe and friendly space! Thank YOU! I mostly lurk, but I’m always reading your blog. Thank you for what you do! 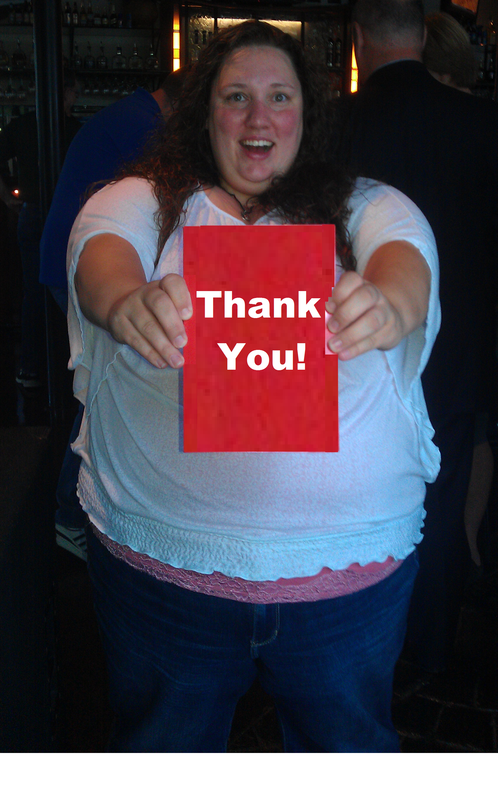 Thanks to Ragen (and the rest of you) from me, too. Best wishes for a happy and productive ’15!